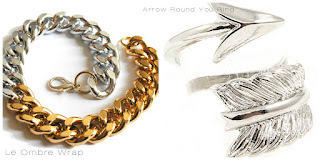 Lil' Blog and More: Libi & Lola Jewelry Review and Giveaway - Ends 12/17 - Open Worldwide! Thanks to Libi & Lola for providing me with a free bracelet to review. Like I've said recently - I've been more interested in bracelets. In the past, I was too embarrassed to wear them. I guess, because I have large hands, and I didn't want to draw any attention to the area. What's changed, is my attitude. I really don't care anymore. If someone wants to judge me because I have big hands, then I don't really care to know that person, any way. So now I am embracing my hands, and if I want to wear a bracelet, I will - Weather it draws attention to my hands, or not. So like I've said, I've been actively expanding my bracelet collection. A piece I've recently added, is this really awesome Le Ombre Wrap, Chain Link Bracelet. Before I go on to talk about the bracelet, I want to say.. I have wanted a chain link bracelet for so long! If you remember my "dream" posts a while back, I actually had a chain link necklace - I just love the "chain-link-look" and it had really been a dream to own a chain link piece! Thanks to Liba and Lola, I had a dream come true. 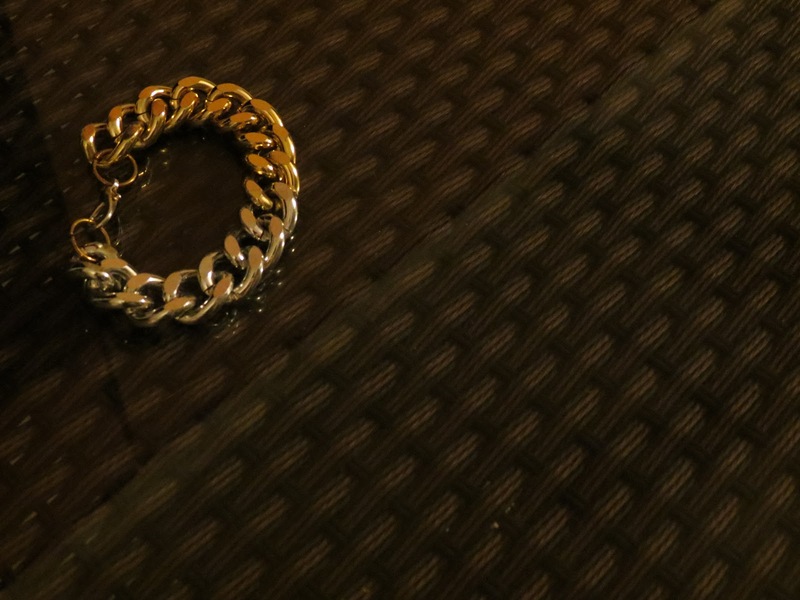 I got my stunning chain link bracelet, and I just LOVE it! It's really well made, sturdy, and gorgeous. I've worn this bracelet to work about 10 times (and my job is PHYSICAL!) and I have smashed it, knocked it, bumped it, and more, and no scratches, or anything. 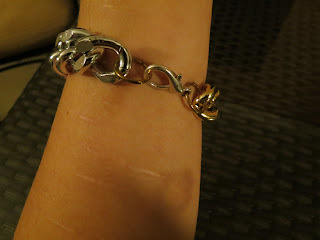 I was worried that with a bracelet with big metal chain links, scratches might show up - But nope, nothing :)! 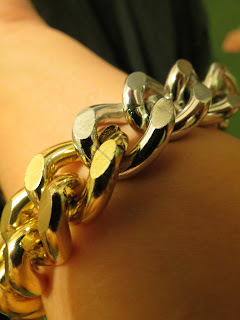 What I love most is that the Le Ombre has both silver, and gold chain links. I found it almost impossible to choose between just plain gold, or plain silver - So the combination worked perfectly for me. 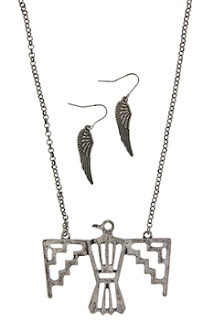 Libi and Lola offers a great selection of other jewelry, as well. I love the bracelet I received - But they also have really great necklaces, rings, earrings, and even watches - All at a completely reasonably, low price! And to be honest, I plan on purchasing something really soon. I was browsing Megan's (The artist behind Libi and Lola) blog, and I saw this really cool necklace - I went to the shop, and found out it was available (with earrings too!) for only $12! Can you believe that's only $12?! I would have easily pay double that price, because I am really drawn to it. Libi and Lola has great deals, and great quality pieces - So if you're a jewelry lover, definitely check them out! 1 very lucky winner will receive a Le Ombre Bracelet AND a really cool arrow wrap ring! Disclosure: Review product was provided to me free of charge. All opinions expressed within this post are my own, and were not influenced in any way. Must be 18 years or older to enter. NO PURCHASE NECESSARY. 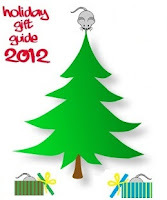 This giveaway starts on December 3rd, 2012, and will end on December 17th, 2012. Winner will be drawn via Random.org via Rafflecopter, and announced on top of the Rafflecopter form, as well as on the top "Winners" page. The winner will be emailed and will have 48 hours to respond to my email before a new winner will have to be drawn. If you're tweeting for entries, you must have an "unlocked" account. The number of entries received determines the odds of winning. VOID WHERE PROHIBITED BY LAW. I LOVE that bracelet! Seems you can use it to dress up or casual! That bracelet looks like the links might be too large for me--but I LOVE that necklace and the earrings!! So pretty!! Nice Style - not everyone's style is the same - this would look better on a young girl such as yourself! I like how chunky it is! What a beautiful bracelet. It looks like they have so awesome selections! I follow on GFC (phalligan1). Thanks for the giveaway. THANKS SO MUCH FOR ANOTHER GREAT GIVEAWAY!!! !